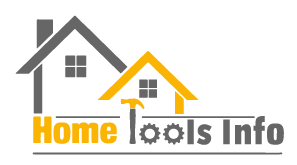 →What is the difference between a framing and claw hammer? Hammers are essential tools in the construction world which can be used to build or destroy. The use of hammers is dated back to the 18th century; they were used by the Roman craftsmen to build or in stone cutting. For an inexperienced carpenter or an intern, any hammer can be used, right? Essentially, that is not the case. Actually, using the collect tool for the right jobs means no or less fatigue. Back to the debate of if there exist any differences between a framing and a claw hammer. A framing hammer which is commonly referred to as a rip hammer is a special type of a claw hammer. Sound confusing, right? Looking at the two closely, one will receive that is a difference in terms of their head, weigh, handle, and the shape of the claws. Some of these features are well pronounced. Let’s get started and look at these differences. The first notable difference is the shape of the head. The head of a claw hammer is waffled. Waffling prevents slipping off of the nail head and being on the nail. In most case, the head of the claw hammer is textured, though it may also be smooth. The head may also be doom faced to ensure minimal damage to the surface. But experienced hands must be involved for this to happen. These features of the head of the claw hammer are not visibly present in a framing hammer. Though these hammers are somehow similar, there are designed to perform a different task. The head of a framing hammer is flattered compared to that of a claw hammer. This is why the rip hammer, also referred to as a framing hammer, is preferred for mounting and ripping building work. On the other hand, a claw hammer is used for driving out nails and hammering. Its curved claws which have a deep arc on one side enable it to pivotal well hence less effort is required to remove nails. A standard head of a ripping hammer normally weighs between 20 to 32 Oz, while that of a domestic claw hammer weigh 10 to 16 Oz. but does these differences in their weight really affect their effectiveness? To some extent yes. Their effectiveness really depends on the type of work being performed. In fact, choosing the right one will really save your energy and eventually, a professional task is performed according to a review by scoutcraft below. While using a framing hammer, a few hours are used to strike large nails. The claw serves the purpose of removing nails and ripping lumber. The wooden handle is made of a very hard wood know as a hickory. Despite the fact that it is hard, it can be easily broken if the nail is missed. The handle can also be made from single piece steel which is a bit durable; though there does not absorb shock while hitting. Another type of handle that is becoming popular for the framing hammer is the fiberglass due to its increased durability and ability to absorb shock and vibration. These steel or fiberglass is wrapped with rubber for comfort and better grip. Steel and fiberglass are commonly found in claw hammer, though it is also possible to find a handle which wooden. Wooden handle has no or little grip hence the hammer often slides from the hand. Steel and fiberglass handle generally have rubber or rubber-like grips for increased comfort and better grip. Low-quality rubber handled hammers are known to often separate from the hammer and cause injury to the user. Wooden hammers have relatively little grip, which can allow the hammer to slide from the hand. Some carpenters and other users prefer this, as they can begin a stroke by gripping the hammer towards the center of the handle, and allow the handle to slide through their hand as they swing. This allows greater control during the beginning of the stroke, but increased leverage and more power when the hammer actually strikes the nail. Hammer has been around for a decade now and they will still be around as long as the human being will be involved in construction work. Though will advancement of technology, some are using nail guns, but the hammer will be the most affordable and easier way for nailing. Picking the right hammer for a particular task will not only save you time but also energy. For the framing and claw hammer debates, the task each performs is determined by the type of work, is it framing or nailing. Though there exists similarity in the two, there are quite different in term of their head, shape of the claws, the weight of the head and length of the handle. I have only scratched the surface of the types of hammers that are available. Whatever project you plan to undertake, be sure to select the right tools for the job. There are a lot of manufacturers of hammers. Cheaper hammers usually deteriorate easily so it's good to invest a little more if you want your tools to last a long time. Look for brands that offer warranty for their products. Regardless of the type of hammer, you decide to purchase and use, remember safety first!